The performance installation takes the form of a “Sad Party.” Viewers become the performers and are implicated in their actions throughout the performance. By making the implicit nature of parties explicit. Viewers are challenged to recognize how night life/party culture appropriates the dangers that people face in their societies. These dangers are transformed/appropriated to emancipate people seeking a refuge from the troubles they face. Party lights are revealed to be police lights. Sirens and sound cannons reveal their relationship with dance music, Party commands reflect Police commands. 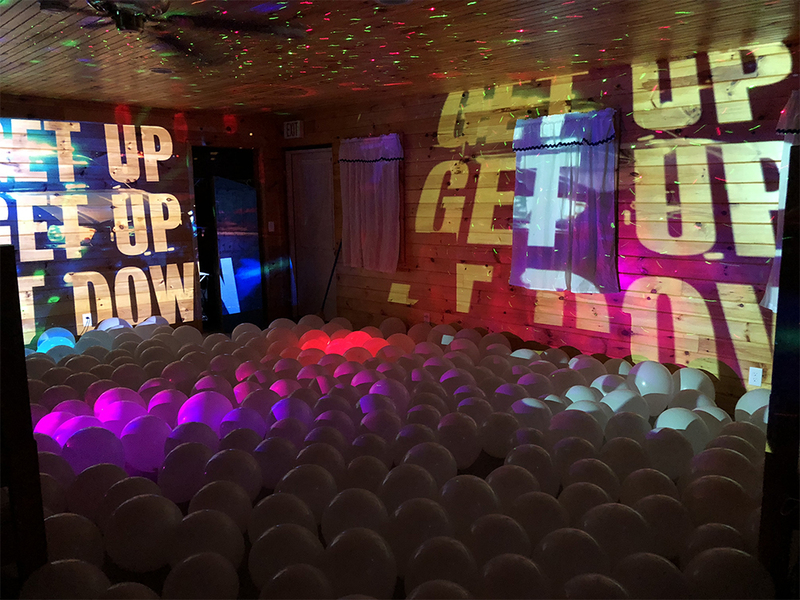 All while party balloons slowly deflate on the floor and songs morph from anthemic to collapsing towards the end and back again.